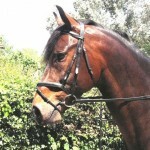 Stacey Smalley: Intermediate Diploma (Livery Yard Managers). I just wanted to drop a note to say how very impressed I am with the course thus far. The module has been so very interesting, and even after attending college for a while apparently studying the same course, I’ve learnt so much more in this one module than I ever did at the college.The information is very relevant, well thought out and useful, and the research projects really get you thinking outside the box. Thank you all so very much for the hard work, knowledge and dedication that has obviously gone into compiling this information. I’m so very impressed as what the course has to offer, and can’t wait to do the rest! Just find it kind of bad that I’ve learnt more in one module with yourselves than I did with nearly a year at college… Never mind though! Just a quick ask, I saw on the website about the entry to the British Grooms Association, is this still something that you guys are able to help with? Lingfield says in reply to the last question: Yes that option for the BGA membership is still available as a reduced fee and as a full fee for the those on this ID8 programme. We do our best to help and advise people to take the best route for them. We are here not just for our own benefit, but for theirs and their horse’s.